What is the salary for a genetic engineer as a fresher? what are the requirements and qualifications to be a genetic engineer? RE: What is the salary for a genetic engineer as a fresher? Thanks for posting your query on CareerGuide.com. Your interest in the field of genetic engineering is appreciable. Before I address your question on salary, let me answer the second part of yur question, regarding qualifications for the same. A genetic engineer works with the genetic material or DNA of orgnisms to change or modify some component. This can be done to develop a better version of the organism - like disease resistant varieties of crops, or high yielding crops, to develop vaccines against diseases, identify and correct genetically transmitted diseases, finding new cures for diseases,etc. Thus the job of a genetic engineer would be in research labs or institutions working in these areas. You can become a genetic engineer with a Bachelor's degree in the same. For this you need to appear for relevant entrance exams like AIEEE, JEE-IIT, etc. after 12th. Also you need to have Biology, Chemistry, Maths and/or Physics in 12th. Like other engineering programmes, this too is of 4 years duration.With abachelors degreeyou can get employed as an assistant engineering in public or private sector companies. In addition you may also choose todo a Masters or even PhD to further improve your career path as it will open the options of teaching andresearch at higher levels. There is a lot scope for this field in India and abroad. Coming to the salary aspect, in India, at an entry level after graduation you can start at atleast 20000-25000 per month. However the salary in MNCs and offshore sites is much higher, where you will start at about $50000 per annum. This can go even above $140000 per annum if you have a PhD. Thus it is a booming field, with huge earning potential especially abroad. Go ahead and work towards it if you feel you have the interest and ability to do so. Certain criteria for getting a job of genetic engineer which include you academic background, your parent institutions from where you have been graduated, type of course structure you have gone thorugh and final which organization is employing you. In fact the pre-requisites at qaulification, grading, academic performance, personality, extra curricular activities are almost same in public and private sector as far as prestigiousness is concerned. Moreover these trade mark will give you excellent fixed salary range-scale starting from fourty to sixty thousand per month again it is a matter of your overall performance while interview or interaction. 1. B.Tech from IIT: Minimum fifty thousand and max is countless as you have tag of IIT so having national and international exposure for the employment. It is always tru for private sector. 2. If you are B.Tech from NIT / BITS pillani, BIT Mesra/ Amity then you can join a job in a range of 40-80 thousand depends on the nature of job and offering recruiters. 3. If you are B.Tech-M.Tech from IIT then again you can earn minimum seventy thousand and maximum depends on the requirement type as per your specialized skill. 4. If you are B.Sc/M.Sc/Ph.D in plane science or natural sciences then chance of getting good pacakge at entry level is remote, One must complete the highiest degree and then claim the scientist or engineer job which will bring you to the healthy package even more than IIT or any other engineers. 5. I guess your query was to know only the salary range for genetic engineer, you did not show the interest of level and characterization of different degree. Make it sure that you are skillfull and technically sound in a particular module it is not necessory to claim all the expertise rather you stick to one module of genetic engineering--either plant, animal, agri, microbes etc will reward you in multiple. Before telling the salary and other benifits regarding the job one must understand the capability, eligibility, credibility and other facts so that one can claim the best out of that. Genetic engineering is the subject which elucidate the mechanism related to genome and its functioanility in a particular system. It is not a simple engineering subject which deals with inert subject rather it needs the sound knowledge of living system from unicellular to multicellular level. It depends on your level of study and specialization where your background at subject level is very imoprtant. First you try to undersatnd that genetic engineering course has been designed by learned academicians and its implicability is very complex where society seems to be scared due to the lack of knowledge. Therefore you are expested to deliver the best product which could be understood and absorved the mass and accordingly you will be paid. For us genetic engineering is very important to understand at the professional front and we should act accordingly. Though it has the same flaovor as others streams in engineering like mechanical, electrical etc. attract you for the excellent packages. You are advised to explore the relevent information which is available online and offline and enlighten yourself before looking for any job. At the same time grab the information at indsutry level where Research and Development occurs in specialized manner and accordingly they offer the specialized manpower those are skilled and learned. You will be glad to know that if you posses the most suitability in a particular industry then salary os not a problem they will give you more then your expectation. Next important fact is your presentation or communication skill which give you strong exposure to cash the oportunity at maximum level. It does not matter where you stand now either entry level or mid level or higher level, important thing is to understand the uniformity in performance a constant performance is pre-requisit for any success which reflects your sincere effort that impress the panel and recruiters. Based on the highlighted facts you are expected to work out on your strength and aquire the skills accordingly. If you are done with all these facts then needless to enquire about salary range. Dear frined, thank you for your question. IN gact this a very practical question, I have seen that people are really concerned about the job as well as about the salary. Here you have not mentioned your academic qualifications. As per your question any one studying the biology from 10+2 standard can opt genetic engineering as creer. After passing 10+2 you have to study any one subjcts like, microbiology, biotechnology, bioinformatics, genetics in graduation. 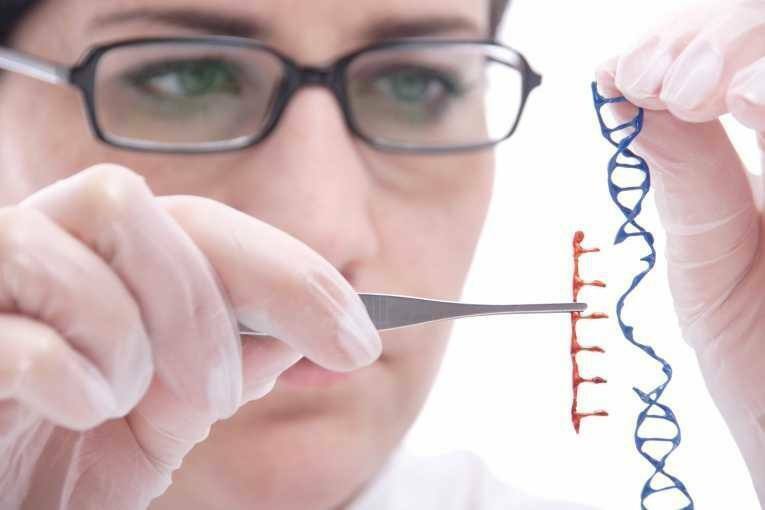 In post graduation you may choose genetic engineering as major subject, if any university or institute offer it. After masters degree you have to also obtain doctoral degree in relevant subject. There is another way to fulfill your dream career, if you dont find any genetic engineering course in post graduation. Then simply do MSc in any one of the subject as Major; microbiology, biotechnology, biochemistry, genetics, molecular biology, celle biology, life sciences, bio sciences, botany. But you should carry out your research on genetic engineering. Similarly in doctoral degree program, your research emphasis should be on genetic engineering aspects. After compeletion of your degree, you have to publish research papers in reputed research journals. These research papers will reflect the research done by you in masters as well as in doctoral degree. Regarding salary of agenetic engineer, it depends upon the academic qualifications, number or years of experience and place of work. If you are PhD and having good experience, published enough research papers then you have fair chances to get selection either in government sector (colleges, univerities, or reserch institutes) or multinational companies. In colleges, universities or research institues, the entry level will be lecturer, assistant professor or assist scientist. The starting salary for a fresher will be in pay scale of Rs. 15600-37100 plus acdemic grade pay of Rs. 5400. This salry will increase with experience and promotion. In multimational company like Monsanto, Seattle Genetics, Ariad Phrmaceuticals, Medivation, Ranbaxy Laboratories, Onyx Pharmaceuticals, Elan, Regeneration, Merck, Celgene etc. In these companies if any genetic engineer makes an entry then the salary of a fresher will be around Rs. 1,50,000 to Rs. 2,00,000 per month. Now you can imagine the job potential of a genetic engineer. Another factor in multination company is, on which position the genetics engineer is working, whether it is a permanent position of a project based position. Keeping all these things in view you should join an organization. But first you make yourself more eligible then there will not be any dearth of dream job for you. 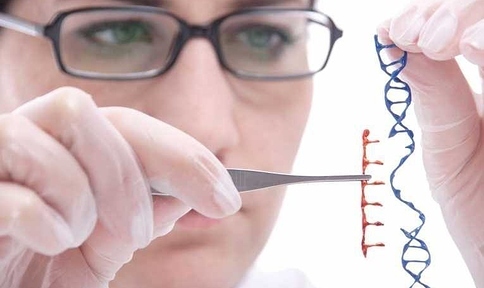 Career COUNSELLORS For - What is the salary for a genetic engineer as a fresher? Mr. Mayank is a Post Graduate in Plant Biotechnology from University of Delhi.He is engaged in various research based projects of company for enhancement in its intellectual property. His experience and expertise in biotechnology filed makes him entirely skilled in this stream. Career Counsellor, Events Coordinator & Senior Faculty in Biology & Life Sciences. Key Roles: Career advising & training of students, conducting soft skills workshops. Organizing events, Conducting professional development trainings for staff. Running workshops for parents & students. Mentoring students. I Have Appeared High School Exam.I Wish To Make My Carrier In Engineering (1St Is Genetic & Second Choice Is Comp.Science).Which Is Best ? Hi, I have completed my BHMS in 2007 and now intend to persue M Sc in Genetics.